From Monday 16th April Hereford Student Council pass holders will only be allowed free travel on School days only. With a history in and early experience of bus and coach operation it was only natural that David Morris would want to form and run his own business. This came about in 1984 when David set up under the operating name of DRM Coaches. Originally the firm had a mix of coach, local bus and contract work but in the 1990’s and in the aftermath of the Herefordshire Trial Area and bus deregulation David decided to pull out of the coach business and concentrate on the development of local bus services. This he has done with considerable success and in so doing has entered into the upper echelons of the bus industry with his distinctive, often flamboyant and nearly always outspoken style. 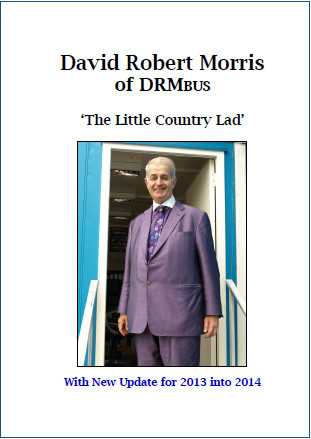 A comprehensive history of David Morris and DRM BUS is given in the book “David Robert Morris of DRM Bus: The Little Country Lad” by Gareth Calan Davies BA of GHAL Publications. 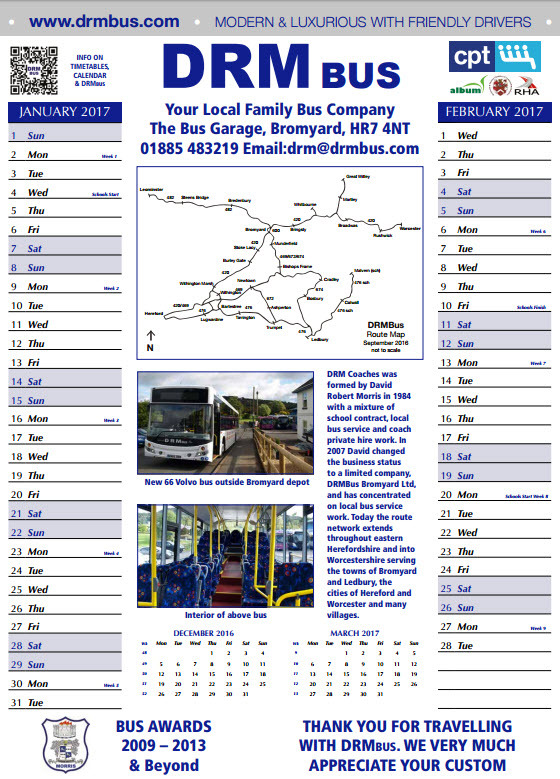 You can download our 2017 calendar here as a PDF file.